This page helps you to add or edit all the details regarding your company. 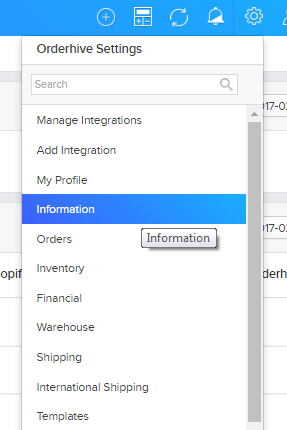 Go to Orderhive Settings dropdown and click on Information. It will direct to the Information home page. 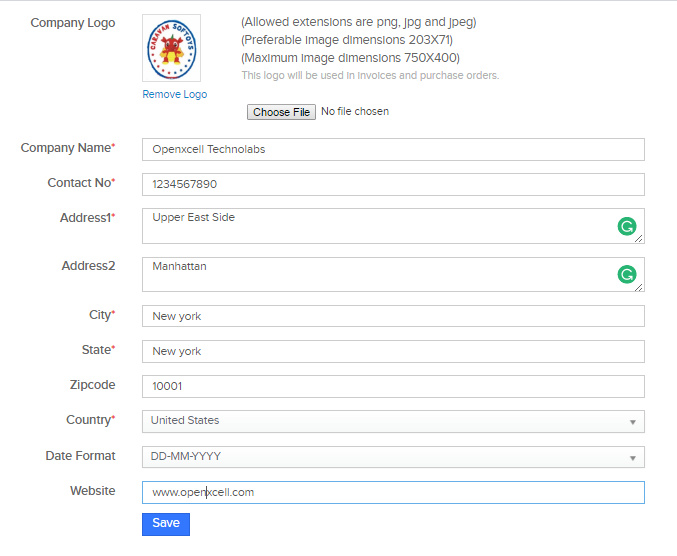 Here you can edit or add company details such as Company logo, Company name, Contact Number, details of Company location, date format that you want across the application and the website URL of your company. Some of these fields are mandatory and require valid values, however, it is always advisable to give as much as detailed knowledge possible to your customers. This information is used when you generate Invoices. It gets displayed in Invoice Templates.